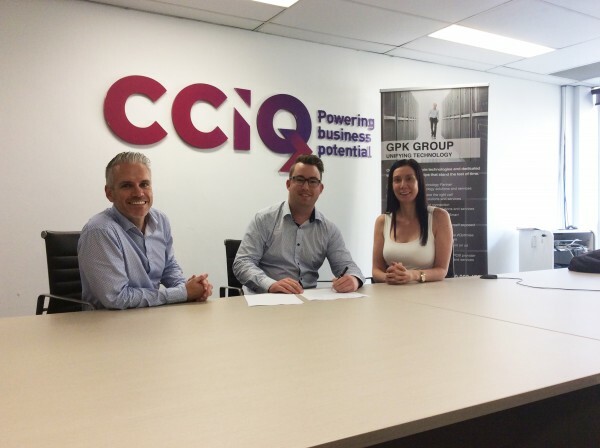 CCIQ is delighted to have partnered with IT solutions company GPK to provide education within the complex IT space. CCIQ Gold Coast Regional Manager Amy Panuccio said the relationship has been established to support and help solve problems for SMEs. GPK’s client executive Daniel Dobbins (right) said his business was delighted to be signing on. “We are extremely pleased to be associated with CCIQ and have the opportunity to support SMEs, which really are the backbone of the Queensland economy,” he said. I have over 12 years’ experience in working in sales and more specifically in IT Managed Solutions, Audio Visual, and RF and Wireless Networks on the Eastern Seaboard of Australia. After completing school I fell into a job within sales in the technology sector and haven’t looked back since. I am a passionate operator that strives to be the best leader both personally and professionally. I would definitely say the most exciting thing about work is being able to use my experience in building and maintaining relationships with people and businesses. Oh and I get to play with heaps of cool technology. GPK aims to be the IT&C provider of choice for key medium to large Australasian enterprises that we will service and support via GPK offices situated in all of the larger cities of Australia and New Zealand. By building strong long term partnerships with our business clients and CCIQ, GPK aim to help our clients be successful and manage their businesses effectively by proactively streamlining their business technology. A large portion of GPK’s clients are SMEs and as such need to work within budgetary constraints. One of the biggest challenges and opportunities GPK face is to service, offer and supply a unified and tailored solution that both fit within a business’s budget and satisfies the clients’ needs, allowing them to operate their businesses at maximum efficiency. Consider all the requirements of your business, understand what you are trying to accomplish and what you need to achieve to deliver these outcomes. Delivering an entire solution is more viable financially and timely than a partial roll-out.